When it comes to alcohol it has different forms that can either heal or numb. Alcohol, in it’s medicinal form, can help heal wounds and cuts. We all know it stings and there will be pain but in the long run it eventually heals the wound or cut. On the other hand, alcohol’s other form is to numb. We go to a bar, a wedding, or a social event, or our house and use it to numb what we are feeling or what we don’t want to feel. And in the long run, it doesn’t heal the “emotional wounds” because we don’t ever deal with it and we will keep running into it in our lives if we not don’t address it. Everyone, even myself, have our own way of numbing the pain at times with our own choice of “alcohol”. It can be: food, staying busy, watching tons of Netflix, climbing the academic ladder, writing a famous book, landing a better job; only wanting to talk about ministry and not what’s going on in our own heart; you fill in the blank. I recently went to my first wedding since Ben died and I was faced with choosing healing or choosing to numb. I was honored and blessed to share in my dear friend’s wedding and got to see her marry her best friend, but at the same time, I grieved and began to think of my own wedding about 4 years ago and how I longed and missed my best friend and husband. But I have learned that letting yourself feel the pain and intense emotions that tend to light up in different settings is so freeing. So, at the wedding, I was not depressed when the tears came as my friend had her first dance with her husband. I let God be with me in that pain. And yes it stung and yes was painful but, like medicinal alcohol, God poured his love and comfort over me and he was able to bring healing and I was able to have joy in the midst of my sadness.There is joy because my needs and feelings were being met. And like I mentioned in the previous blog, God the Father wants to be there for us and care for us in our pain. 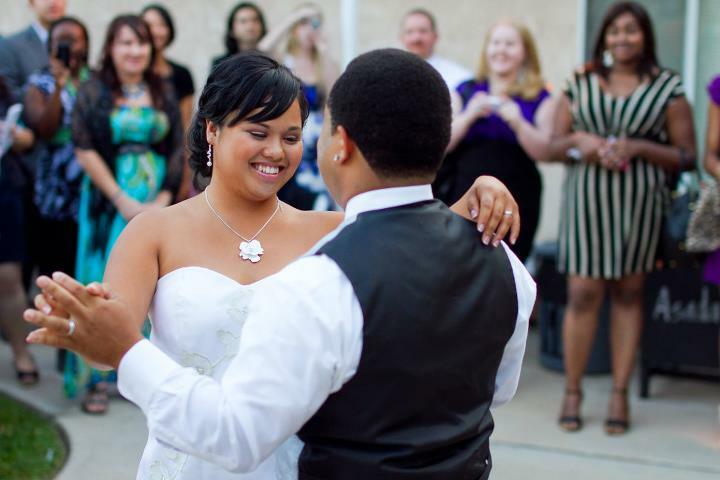 I was fortunate enough to have a great girlfriend who physically hugged and comforted me when I began to cry during my friend’s first dance with her husband. That was also very comforting to have a friend that didn’t have to say anything but to just physically be there with me in that moment as I was hurting and missing Ben. I later asked God where he was when I began to cry at the wedding reception and he gave me this image of him stroking my hair and kissing my head as he held me tight in his arms. He also gave me an image of where he was with my friend and her new husband. He was dancing with them and enjoying their love and happiness. I think that really struck me that God was able to comfort me in my sadness AND be with my friend and her new husband at the same time. BOTH of us mattered to him and he wanted to join us both in what we were feeling. God is not in a hurry. And whether we are choosing to let God heal or to numb out, he is with us. He is there and wants to be with us in whatever we are feeling. He is with you when you are feeling down about being single; He is with you when you make your kids cry because you are yelling at them; He is with you when you are failing a test you studied and knew like the back of your hand; He is with you when people are treating you unjustly; He is with you when you are feeling like you don’t have any friends; He is with you when are finding out you are having a miscarriage; He is with you when you are questioning if he really cares; He is with you in EVERY situation! I am not sure what the second year of grieving will hold but I do know that this first year of grieving has included many raw emotions. There have been many weddings, bridal showers, and parties I have wanted to go to, and I was able to go to some, but most the time my emotional grief has been too much at times. Not, that I am trying to ignore or run from seeing people but my heart can only handle so much at times. Going back into social circles is very painful. It is painful to see all my friends with their healthy husbands, or friends that I had planned to have my second kid around the same time with, or seeing my friends being loved on by their husbands or significant others. I am happy for them but my heart grieves and misses being loved and being with my best friend. One of the first parts of my grieving was to just let whatever I was feeling OUT! Whether that was sadness, anger, frustration, confusion, ect. But the most important part to that process was letting God be WITH me (Emmanuel) in that process. Like I mentioned in my previous post, it doesn’t exactly “fix” the hurt or replace the person we are grieving, it is letting our needs be met and cared for. The reason I needed to let God into my grief is because number one, my emotions matter and being cared for and comforted is something God wants and longs to do. Number two, when I grieve with Jesus I give him an open door to speaking to me and to see the situation more clearly. He is able to see the whole picture, I can only see part of it. Once we begin to praise God we can then see where he working. A beautiful thing about death is what can come out of it if we let God into our healing. God can take the ugly and broken and mourning, and turn it into something beautiful and whole and joyful. I feel like God has taken so much away. He has taken away my husband, the father to my child, my best friend, and all my hopes and dreams I had with him. But very slowly I have bravely asked, “Ok, Lord I have grieved and I have poured my heart out to you and I have let you comfort and speak to me in my sorrow. Now, where are you? Where are you working? What are you speaking to me now?”He has responded. He has given me new dreams.